While waiting for our ruined rear differential to turn into a new pumpkin, we had to find ways to amuse ourselves. 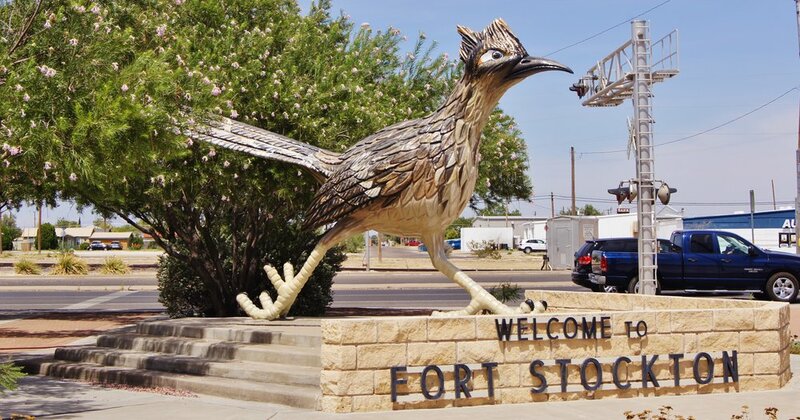 We turned to TripAdvisor which suggested: Annie Riggs Memorial Museum, the Giant Roadrunner, The Grey Mule Saloon, The Garage Coffee Shop, and Historic Fort Stockton. 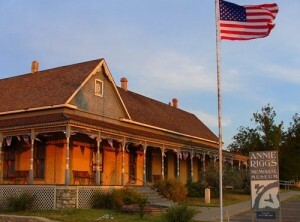 The Riggs Museum preserves life as lived in a turn of the 20th century hotel – no cable, no air conditioning, no micro-fridges – better than a blanket under the stars, but still plenty rough. We have seen the Biltmore Estate which went up in the late 1800’s and remains a faithful representation of life lived in the grand manner at that time. Kat and I have a more comfortable and interesting life in our Airstream. Things just weren’t that good in the good old days. Riggs Museum died for lack of a nomination. Grey Mule is more of a wine tasting room than saloon. We couldn’t believe that good wine grapes could grow in this desert climate. Sorry, not interested. 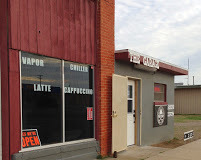 The Garage Coffee Shop sounded too much like Chin Ho’s Sushi Bar and Bait Shop. Some things just don’t mix. We drove by historic Fort Stockton which housed US Cavalrymen until the Apaches were all on the rez. It seemed pretty obvious that was a hard life (Cavalry or reservation), and a likely reason that career military men were awarded generous retirement pensions after 20 to 30 years service. Fight Indians for 20 years and you’ve earned half pay for life, which likely wasn’t going to be that long anyway. No need to see that. So we shopped at Wal*Mart and noticed things. Most of the streets are wide enough for a long-bed pickup pulling a 28’ trailer to make a U-turn. It rained one day and we noticed that none of the streets were crowned, so rain puddles up in every low spot. (It doesn’t rain much, or often.) We ate at a couple of Mexican cafes, and tried to eat at a couple others. 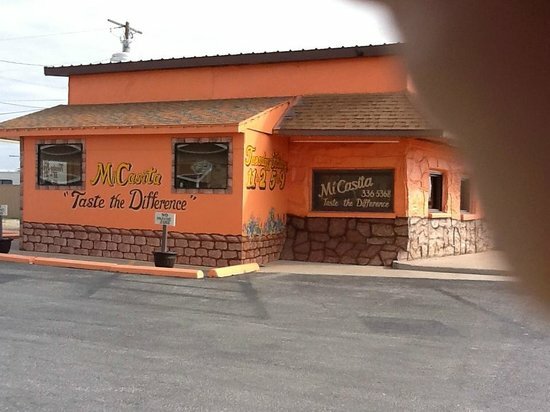 The town’s #1 café, MiCasita could not indulge Kat’s urge for a margarita and wanted $5 for chips and salsa. We left. Pepitos was famous for chile relleno, brisket tacos, and enchiladas. The beer was cold. I really enjoyed the enchiladas and tacos, but Kat rated the relleno as merely average. Average was such a high bar we ate there twice. 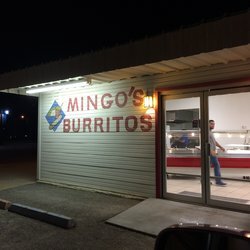 Mingo’s Burritos offered a big selection of ingredients, and they put it together before your eyes just like less authentic burrito joints (Chipotle, but I’m sure Mingo’s is not organic.) Their best was the scrambled egg, bacon, and potato breakfast taco. Alas, they offer only one sauce. Tacos OJ (Ojinaga, the nearest border crossing), the Fort’s #2 rated diner, had a recent indecent review which gave us pause. “The tacos were good, but I picked up a parasite there. I might go back anyway.” No tacos from you! At last El Trucko Rojo was ready to roll, and we promptly returned to College Station. The day we left somebody on Airstream Forum sympathized: “I can’t imagine spending ten days in Fort Stinkin’ Desert”! Next time we try to go up the Pacific Coast, Kat wants to visit southern Arizona and Mexico by way of Topeka. Well, that does not sound like much fun. I hope, at least, no parasites in any form have hitched a ride. Good grief! A long time ago, when I made some drives from New Orleans to California, I would get right up to the state line, and get a good night’s sleep. The idea was to drive through Texas without stopping for anything but food, gas, water, and lots of coffee. We shall avoid Texas this year by heading north to the casinos of OK, and from there hit Santa Fe and Albuquerque. Then it is on to Colorado, and if the Kat will allow it, I plan to try Government Grade Ganja. If she does, count on a gourmet’s review. Best of luck at the casinos. For New Mexico, I see some stunning sunsets, and maybe turquoise (and other gems), in your future.